Bozin Productions can set up your mobile casino just about anywhere as long as there is room for it. Just tell us when and where and we’ll do the rest. Equipment will be set up for you to your specifications and layout desires. All of the accessories for the games are provided without additional costs, with the exception of cards and chips. Bozin Productions can bring extremely knowledgeable and friendly dealers to your event. 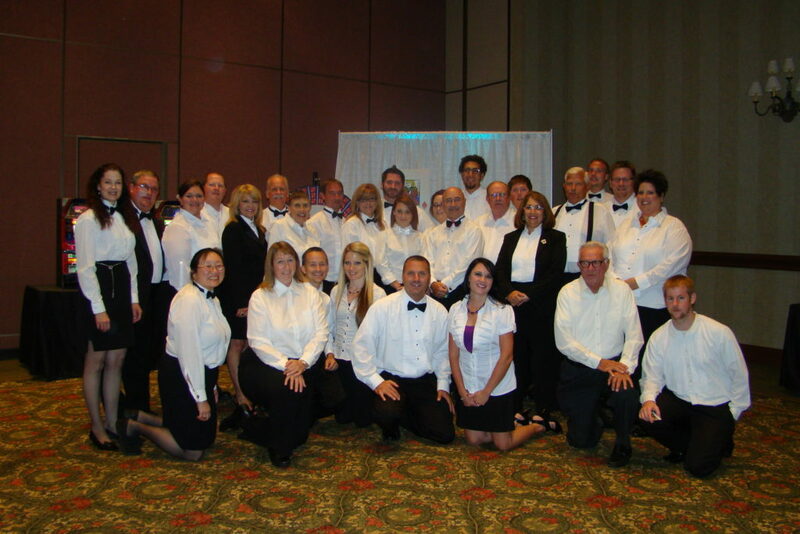 Whether your goal is fun or profit-oriented, our dealers will ensure efficiency and integrity at your event. No hassles for you in making sure you can find people who know how to deal. Most of our dealers have several years experience dealing all games. They can adapt to any rules that are set for your event. Bozin Productions has the ability to direct your event from the beginning to the end. This will allow you the convenience of relaxing and enjoying your event. Our staff has directed well over 100 Texas Hold’em Tournaments. A complete set of rules can be written to fit the needs of your event. Rules can also be written for the other games as well, such as craps, roulette and blackjack. The Tournament Director can do everything from having the starting chips counted and put together, seating players before and during tournaments, running the timing of the tournament, coloring up chips (to make it easier for players), all the way to dealing the final table. Using a Tournament Director can take the pressure off of you and put it onto us. You will not have the stress and worry of making sure everyone has fun and the rules of the event are adhered to. All we need is a time, place and players to make sure your event runs smoothly and hassle free.